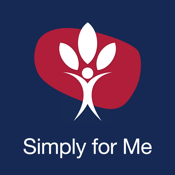 The Simply for Me application may only be used by SIMPONI patients and Health Care Practitioners in Australia. The app requires a password that can be obtained in the SIMPONI patient pack you would have received upon first being prescribed SIMPONI. If you cannot locate the password, please contact your Health Care Practitioner. Some information provided may not be valid for residents of other countries due to variations in medical practice and drug approval and indications. This patient education application provides SIMPONI patients and Health Care Practitioners with easy to access information on SIMPONI treatment, and information on the following rheumatology conditions; rheumatoid arthritis, ankylosing spondylitis, and psoriatic arthritis.